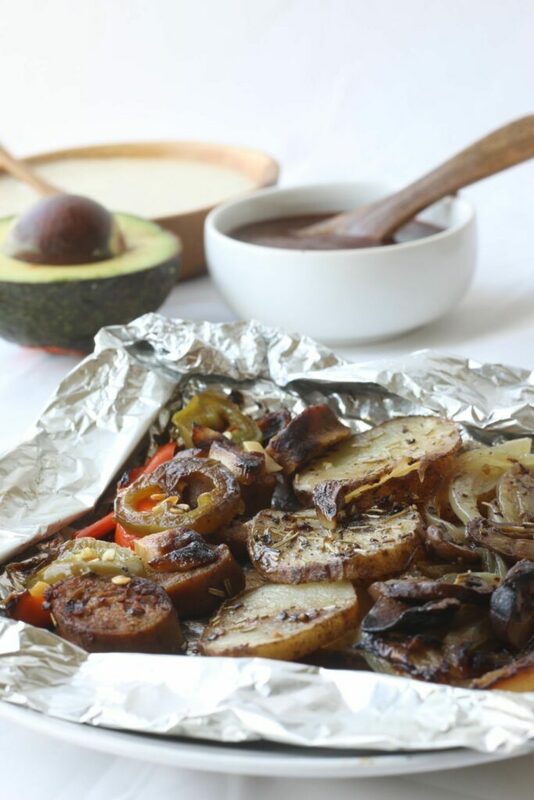 This Hobo Dinner Foil Pack is easy & delicious, loaded with potatoes and veggies, seasoned with Frontier herbs & spices than grilled to perfection. This is one amazing meal that you don’t want to miss out on. Content on this Foil Pack Dinner post was created for the Summer Grilling campaign and Sponsored by Frontier Co-op. Although I don’t do campfire dinners, I do love creating simple, wholesome Summer meals that can be prepared ahead of time, cooked on the grill (or a campfire if you are more adventurous than I), delicious and easy to clean up! Anyone else with me on this one? If so, then you’ve gotta try this Foil Pack Dinner. My husband would tell you that I am a grocery snob, and although I wouldn’t use that term, per say, I do agree with wanting the best when it comes to food. I choose organic when possible, I like knowing where my food comes from & I also like buying from companies that I give back. All this in addition to buying foods that are allergy-safe (which isn’t a snob issue but a trust issue). Frontier is a company I already buy for the reasons above, which is why I happily agreed to create this recipe for them. They are committed “to providing pure seasonings that taste great and promote healthy communities, as well as a healthy planet. They source their spices from growers committed to quality, sustainability and ethical trade”. Pink Himalayan Fine Grind is not only pretty with its pink hue but its salty flavor is actually quite delicate. When this came out May 2017, my veggies threw a party! 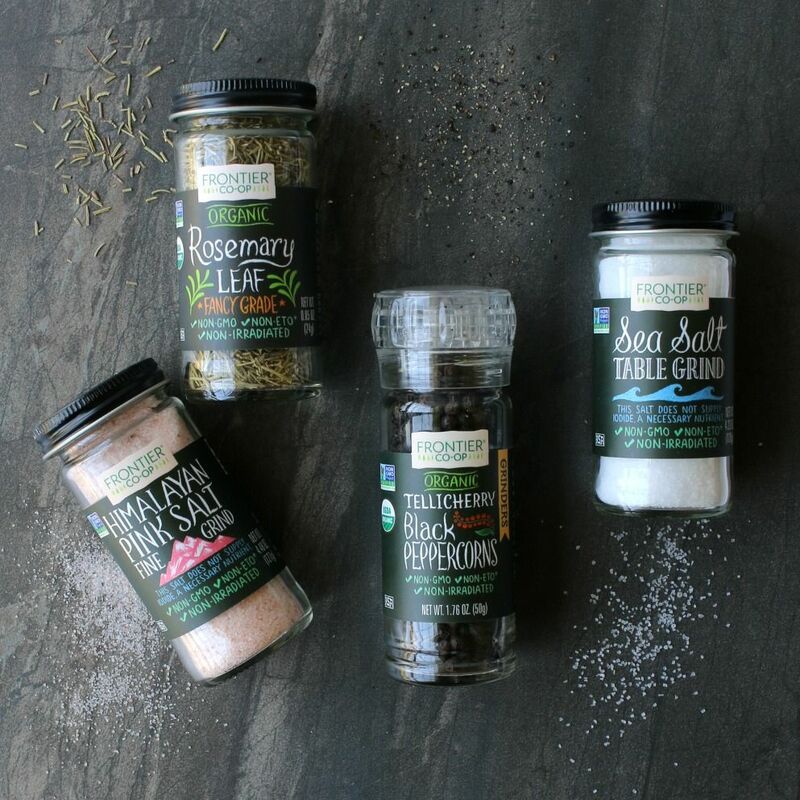 Rosemary, which is an aromatic herb that compliments the other spices and pairs wonderfully with all the veggies. Although the spices are key for added flavor, you must have a few other essential components when making your Foil Pack Dinner. You don’t want your b-b-q masterpiece sticking to the foil so you must be sure to include some type of fat. Olive oil is a great way to add a healthier oil, but you can also use coconut oil or a dairy-free butter. Although you get protein from the veggies you pick, you can up the amount of protein by choosing an additional source. In our Hobo Foil Pack Dinner, I chose to use a veggie kielbasa, but you could also use tofu, tempeh, beans, or even vegan breakfast sausage. 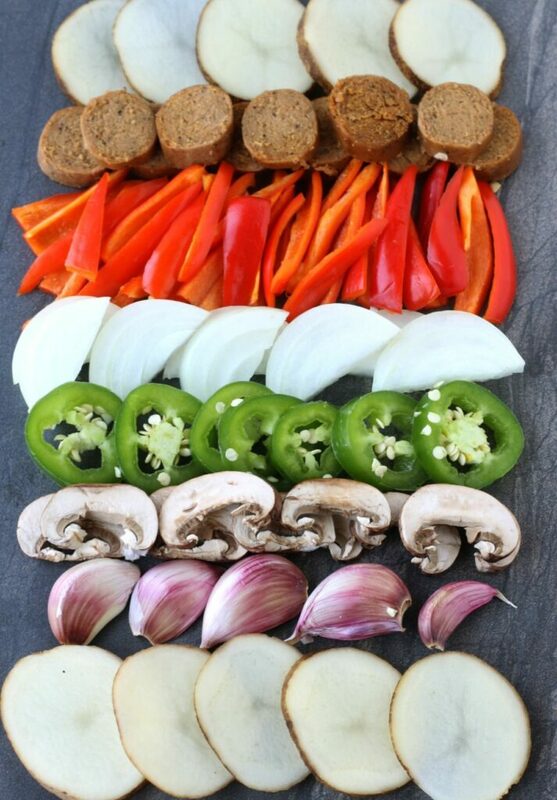 Bring on the veggies…just about any veggie will do but consider it’s cooking time. 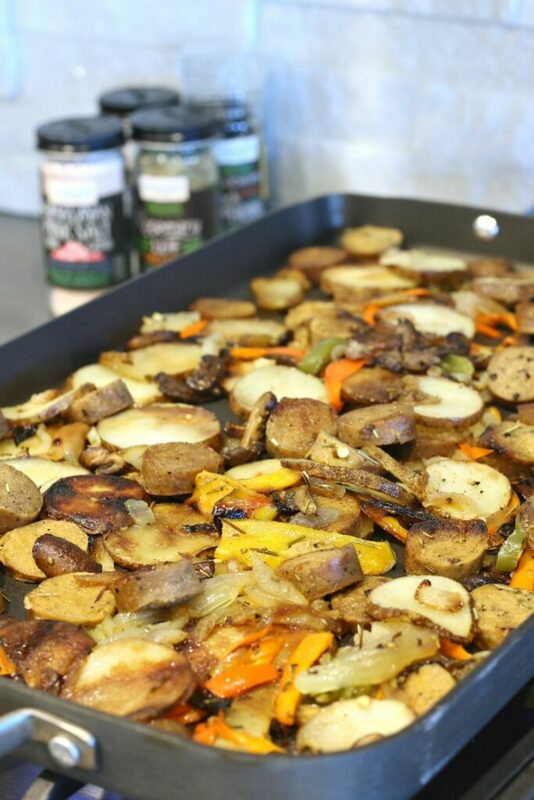 You want firmer veggies like potatoes cut into smaller pieces or thinly sliced like I did, so they cook at the same rate as mushrooms, peppers and onions. We already talked a little about the spices I used, but with a veggie base, you MUST add salt and pepper. Adding the rosemary really added another layer of flavor but if you don’t like rosemary or are afraid to spread your wings a little, then there are plenty more to pick from. Let your imagination run wild! Tear off 12-14 inch pieces of foil. You’ll want a little extra room to pile in your veggies and still have room in the pouch so heat will circulate inside like a mini oven. Place the food in the center of the foil, drizzle with oil then layer your chosen ingredients such as potatoes, onions, garlic, peppers, jalapeño, mushrooms and kielbasa. Fold the two long edges toward one another and fold over once or twice & crimp for a sealed edge. Fold and crimp each short end of the foil toward the middle so that the edges are all tightly sealed and the juices don’t flow out. Grilling is my favorite cooking method for Foil Pack Dinners but IF you don’t have a grill, IF it’s too cold outside or IF you don’t want to grill, here are a few other cooking options. On the stove-up on a large rimmed pan, without foil. Drizzle your pan with oil then sauté 15-30 minutes on medium-med/high, until desired results. In the oven (in foil packs) place foil packs directly on rack and bake for 30 minutes at 350°. In the oven (no foil pack) – bake on a baking sheet for 30 minutes at 350°. *Baking time can vary depending on how much you fit into each packet. Sauce it up & top it off, with some of our favorites! Dairy-free ranch (Daiya has a great vegan ranch or make your own from scratch). One day I’ll put that recipe on here. Sliced avocado or this Avocado Cream Sauce from Bless Her Heart Ya’ll. You can also use ketchup, steak sauce, sriracha, soy sauce or even a homemade allergy-friendly pesto. 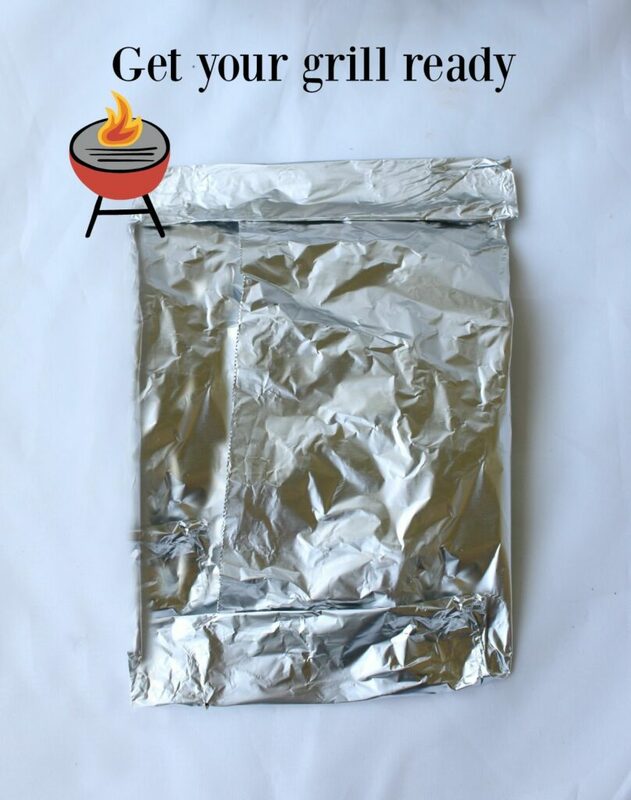 We absolutely loved these (Hobo) Foil Dinner Packets! I love how the grill gives the slightly charred edges and how full of amazing flavor these were with the combination of the herbs and seasonings. You guys have to grill these this summer. They are fantastic and will become a new favorite at your house as well! 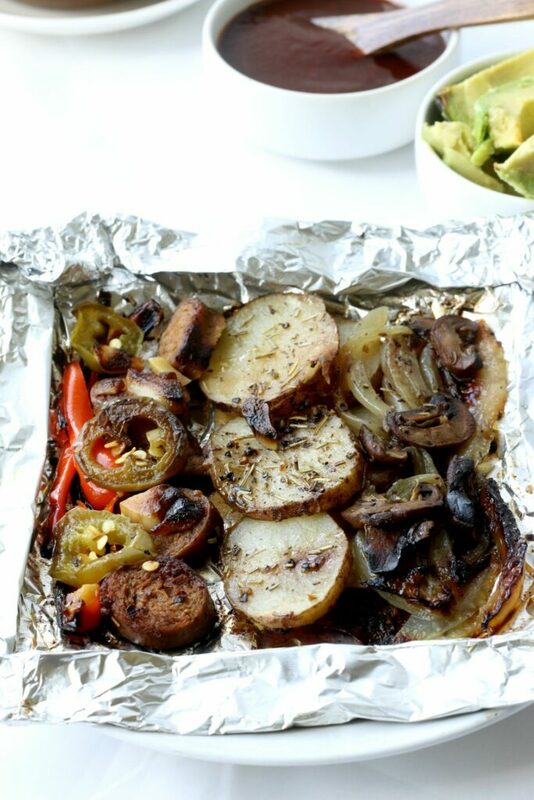 Potato & Veggie Foil Packets are easy & delicious, Summer meal, seasoned with herbs and grilled to perfection. This is one amazing dinner that you don’t want to miss out on. Divide the ingredients among the four pieces of foil, placing in the center of each foil, then drizzling with olive oil. Fold the two long edges toward one another and fold over once or twice & crimp. Fold each short end of foil toward the middle and crimp so the edges are tightly sealed. Preheat grill then cook on medium high for about 10-15 minutes each side, turning occasionally. Cooking time will vary if you loaded your veggies. Let the packets cool slightly before serving. Carefully open the packets and serve with toppings of choice. Thanks to Frontier co-op for partnering with me to create this Foil Pack Dinner recipe to encourage, healthy Summer Grilling. As always, the recipe and opinions are my own. Collaborating with brands I love allows me to keep bringing you new and varied recipes! Thanks for your support! If you like this recipe & want to see more like this, simply subscribe to Allergylicious in the side box and you’ll be the first to see every new recipe! Be sure to follow Allergylicious on Facebook and invite your friends! Find me on Instagram and Tag #allergylicious with your awesome remakes! You can also find me on Pinterest sharing the newest, delicious, allergy-friendly foods. For more information or to purchase, check out: Frontier Allergen Information , Frontier Co-op website , or Amazon. Most local grocery stores also carry Frontier Co-op brand. Love it! Perfect for campaign. Do you have the link for Frontier? Just want to see where I can pick it up at. Yum! This actually looks like the perfect dinner to me Nicole. I love Frontier products, and it’s been ages since I’ve used that foil cooking method! I’m so curious what vegan sausages you used, too. Thanks Alisa. I don’t use this method enough but I think I’m doing to start doing it more! To answer your question, the vegan sausages were Tofurky’s kielbasa.